Another online income source for me is through Zazzle, which is a print on demand company. Individuals upload their photos and designs and turn them into really cool customizable products like tshirts, coffee cups, mousepads, notebooks, throw pillows, laptop sleeve, messenger bags, invitations, keychains, canvas art work, and more. See what type of products sell on Zazzle on the “STUFF SOLD on ZAZZLE” Pinterest Board here. There are basically two ways to make money with Zazzle. The first is by designing your own products and selling them posting them for sale on Zazzle. 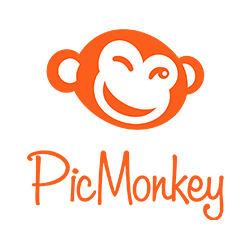 You can upload your photos and images then put them on hundreds of different types of products, then post them for sale on sale. Here is a laptop sleeve that I designed. It took me about 3 minutes to upload the photo, title it, describe it, put in a category and post it for sale. It was a photo that I took of a southwestern tile table. 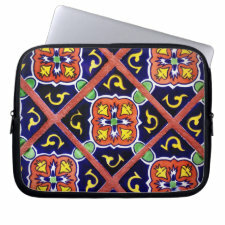 I loved the design, so I photographed it then uploaded the photo to Zazzle to design this Southwestern Tile Pattern Laptop Sleeve. 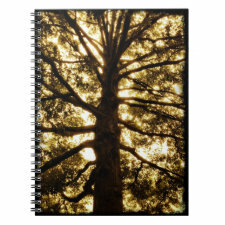 Another item I just created is this cool Tree Silhouette Notebook. I took this photo of a tree in my friend’s front yard while visiting her in Nebraska. Then I edited the photo so it would be in this sepia tone, then uploaded it to Zazzle and made this notebook/journal. I also designed postage stamps and a tree silhouette canvas art from the picture. You earn a royalty on any of the products you design. And you can set the royalty (commission) to whatever you want it to be. However, keep in mind that the higher royalty you set, the higher the price of the item, and you may not be competitive with similar items for sale, so you won’t get sales. I normally set my royalty around 15%. Zazzle recommends you set your royalty between 10%-15% because that what they see from their statistics that convert best into sales. Because Zazzle sees that these product prices convert the best into sales, they use the royalty as one of many different factors they consider in the placement of products in the marketplace. So lower prices items will show up higher in the Zazzle search results, if all others factors are the same. I recommend learning how to make your own templates that you can use in the Quick Create process. You can read my tutorial here: How to Make Your Own Zazzle Quick Create Templates. Basically you can either create products one at a time, for example, just make one single iPhone case. Or you can use the Quick Create tool to upload one design and then apply that design to 100 products at a time. So now your design is on an iPhone case, a keychain, a mousepad, etc. You do the title and description and royalty settings one time for all 100 products. So you can’t be as specific in your descriptions, for example, you can’t say “this cool iphone case”, because the same description will also be applied to all 100 products in that batch. But it does allow you to save time and get a variety of products up for sale in your store. One thing that I’ve learned after using my own Quick Create templates is that I get sales of products that I would have never thought to take the time to put that design on if I were only uploading items one by one. For example, I sell quite a few address labels. And that’s only because I put them into my templates. I don’t think I would have ever thought to go put a design on an address label if I were only uploading products one by one. But now I have steady sales of address labels because they are included in my templates. The reason I use my own templates instead of just using the Quick Create default templates is because the default templates never line up the image correctly on all 100 products. So I end up having to customize each individual item and move around the image, making it bigger or smaller, which takes me a lot of time, making the Quick Create tool not “Quick” at all. With my own templates I start out with an image size that I use often, say 3600 x 3600. Then I use that image when creating the template products. Then once I have all the templates done, everything is already lined up the way I want it to be lined up. Now when I use that template set and I upload a 3600 x 3600 image, everything lines up just how I wanted it too when I created the template product. It only takes me a few minutes and I have 100 new products up in my store! 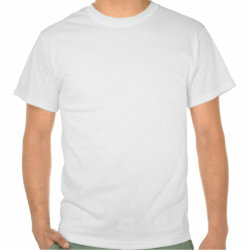 The other way you can make money on Zazzle is by promoting other people’s products. Zazzle has an affiliate program and you’ll earn 15%+ commissions when you promote other people’s designs with special links with your tracking codes on them. I currently have quite a few webpages that are based on the concept of promoting a specific type of product. I like to focus the webpage around one specific type of product, then add designs from other Zazzle sellers. The base commission is 15% when you refer buyers to other people’s items, but you also earn a volume bonus when you sell at least $100 worth of products in any given month. Here’s a screenshot of my recent Zazzle earnings. I’ve only been actively using the Zazzle affiliate program for about 6 months, so the total commissions (All Referrals) of $352.34 is from the last six months. These are my earnings. I’ve sold a total of 58 products and earned $352.34 in commissions. I thought I would stop back by and update this post to let everyone know how the last 5 months have went since I first wrote about my Zazzle earnings. The second half of 2012, I really concentrated a lot of my online work into building referral pages promoting other people’s Zazzle products. I also started making some of my own products. As of Nov 29, 2012 here is where my earnings stand. This included royalties from selling my own products, referral fees for promoting other people’s items, and also volume bonus earnings. This is just my earnings, but not payments. My Zazzle earnings for October will be paid out by Dec 15th. And November’s earnings will be paid out by Jan 15th. And I still have another month left in the year, which includes Christmas shoppers! I’m excited about the income opportunity Zazzle offers. I plan to do a more in depth post about my Zazzle earnings soon! Hi just a comment about the Jaaxy tool does it let you enter multiple keywords at once or do you have to search for one keyword wait for the result and search for another can you copy and paste a list of keywords into the tool? You only enter one keyword phrase at a time, and then it returns the results along with a list of similar keyword phrases that might also work. I understand uploading a photo to Zazzle, but how do you design things that look like the iPhone covers at the end of your post? You can also find public domain clip art on Clker.com, although sometimes they can be too small. I am thinking of buying some type of Photoshop software and learning how to use it, so I can make more of my own designs. That’s on the agenda for 2013. I have Photoshop, but I think most designers use Illustrator for this sort of design work. Or a combination of the two. I would really like to get into this as well, but so far I haven’t had the time. Online tutorials have only taken me so far. I can never seem to find the tutorial I need exactly. Hi Kim (and family)! 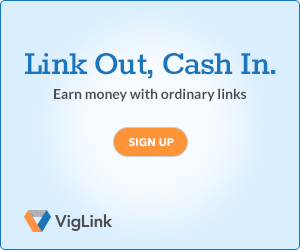 I really love your site and willingness to share what you have regarding the income you’ve made for each venture. I’m currently building my zazzle site(s) with all of my own artwork but it doesn’t have many visits as of yet. I haven’t taken advantage of the quick create option because I currently want full control over the look of all of my products, including custom background colors behind each of my drawing / digital artwork and text options. Most of my stuff falls under either the “cute” category, animal category, or the “fantasy and sci fi” category. Take a look and tell me what you think. Though I do freelance “VA” work, I’d really love to have my zazzle shops my larger income source as art is a huge passion of mine (I’m also writing a philosophy book which is another passion). If you like any of my work feel free to use any of it for affiliate revenue if you find a spot. Anyway, I subbed to this blog and just wanted to give you a “hello” and a “thank you” for the awesome inspiration you give on this site! Thanks for stopping by! Just FYI, your Zazzle link (with the little * on the end) misdirected. I’m not sure if since the new redesign if the * is still working properly. But I found it with the * at http://www.zazzle.com/tricksplace (for anyone else wanting to visit his store). I’ve had good luck with getting traffic by sharing on Pinterest. I organize my boards based on what people would be searching for. I’ve seen many of my boards show up in Google search results. So if you aren’t pinning, I would suggest starting there. And pin from your own website too, then you’ll get traffic back to your website. Zazzle has been going great for me. I know I haven’t updated this blog in a while, but Zazzle has been going really good. Good Luck….and I’ll promote some of your stuff soon! I’ve been using Pinterest: http://pinterest.com/workingmatterva/tricks-zazzle-designs/ but need to create some more specific boards as one of your blog posts suggested to help feed google. If there is anything not on a product that you’d like to see it on just let me know as I’m working on getting ’em on other product types daily (the long way). And again, thanks for the inspiration. Your zazzle store is wonderful!